What are sweet holiday memories made of? Well, of course sugar, spice, and everything nice - No, wait, that's little girls! But there is a good deal of sugar and spice during this festive time of year, and actually those few extra pounds we all usually feel afterward say that there might be a bit too much of all that. But there are so many delights besides just the gastric ones, and to overlook them would really be to miss the better part of holiday memories. When I was a child one of the very special parts of the holiday season was at the beginning of December when my mom would bring our holiday books out of storage. We had a full box of Christmas story books that were saved solely for this time of year. My mom, a reading specialist, was always wild about books and read to us regularly. At Christmas this shared time added to the magic of the season. Several weeks ago my mom brought a book to my daughter Tru that I recognized immediately. It's called The Sweet Smells of Christmas, and is a story about a little bear that anticipates Christmas through the smells around him: an orange, a pine tree, gingerbread, candy canes... All are depicted in good ol' scratch 'n sniff format so the reader can enjoy the smells of Christmas along with the little bear. 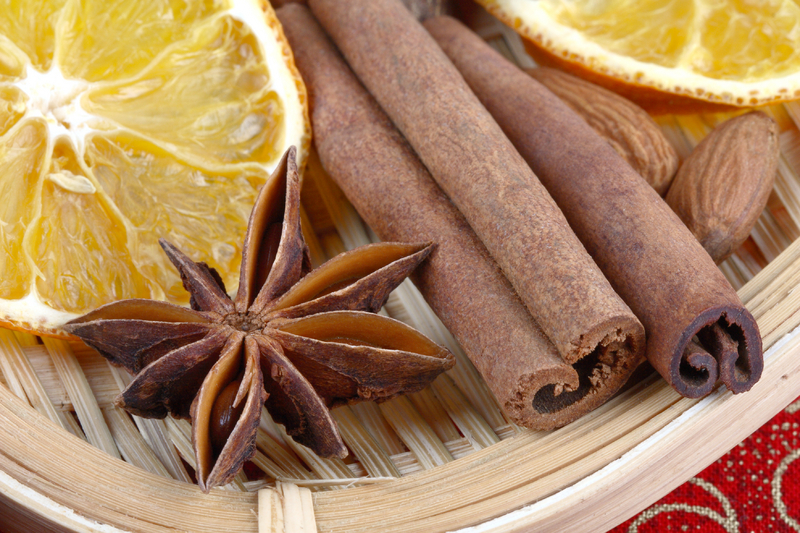 More than any other time of year, the holidays are indeed a season defined by smells. The profusion of pumpkin pie and evergreen scented candles at stores everywhere is enough to say that these aromas evoke a lot of sentiment. This is totally appropriate, since our sense of smell is the strongest sense tied to memory. A brief whiff of a scent from your past can instantly connect you to that time gone by and even make you feel as if you are right there again. Smells are actually tiny airborne molecules - small enough to vaporise in the air and then dissolve into your mucous membrane. From there they travel a path to your brain cortex and also to your limbic system. Your limbic system is a primitive (sometimes called reptilian) part of your brain that controls emotion, memory, and behavior. The cortex is responsible for your conscious thoughts. So smell impacts both of these areas. Smell is one of our most important senses from a survival standpoint. Smell helps us sense danger in the form of fire or poison and conversely helps us sense security and safety. Mothers and children can recognize the smells of each other, and the smells of our favorite foods will cause us to start salivating in anticipation of a good meal. So in that way it is no wonder that smells of pine trees, spices, fruits, and baking are so forefront when we think about the winter holidays. These experiences are so burned in our collective memories that once the days draw short and the air begins to cool we instinctively begin to crave these quintessential smells of hospitality and celebration. As a business owner I see sudden telltale spikes in sales of Silver Fir and Wild Orange candles in the fall that tell me that people are hitting the holiday mood. I also built our newest perfumes around themes of spices, citrus, and chocolate - all heady, stimulating scents that warm up the body and have a physiological effect as well as that crucial tie to pleasant memories. I really enjoy that what I am making is going to become an integral part of someone's precious memories. So, as we enjoy the afterglow of Christmas and the promise of the new year I am hoping that your holidays will be memorable, cozy, and full of delights for your senses. Make it fragrant and you'll remember it always!